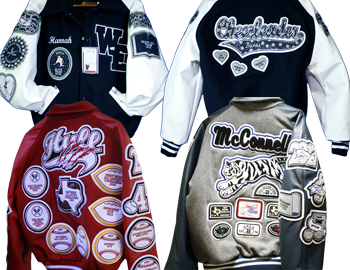 Your varsity letterman package is fully customizable and will come with your own custom patches sewn to the jacket by one our professionals for a complete package. 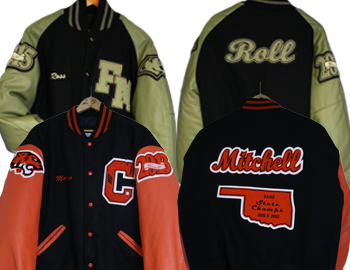 It's everything you need to get your very own ones-of-a-kind letterman jacket. 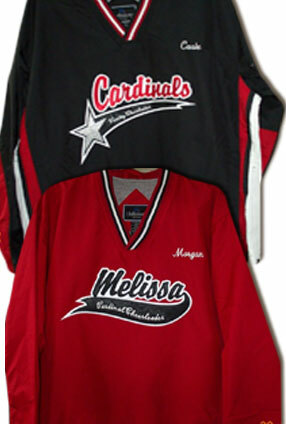 Pick from one of three different package deals above. 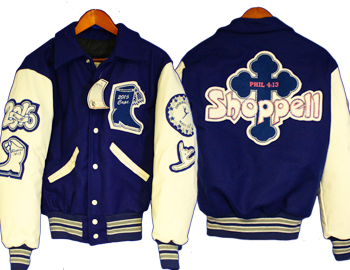 The Rookie package is the most affordable at $260 and comes with a vinyl sleeve jacket, both the All-Pro and Hall of Fame packages come standard with a custom leather sleeve letterman jackets at a price of $450 and $600 respectively. 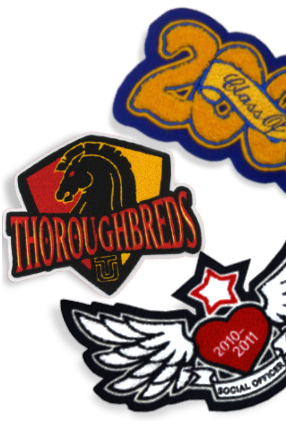 All Packages come with custom made to order chenille patches.